The traditional wood furniture industry has its share of problems. 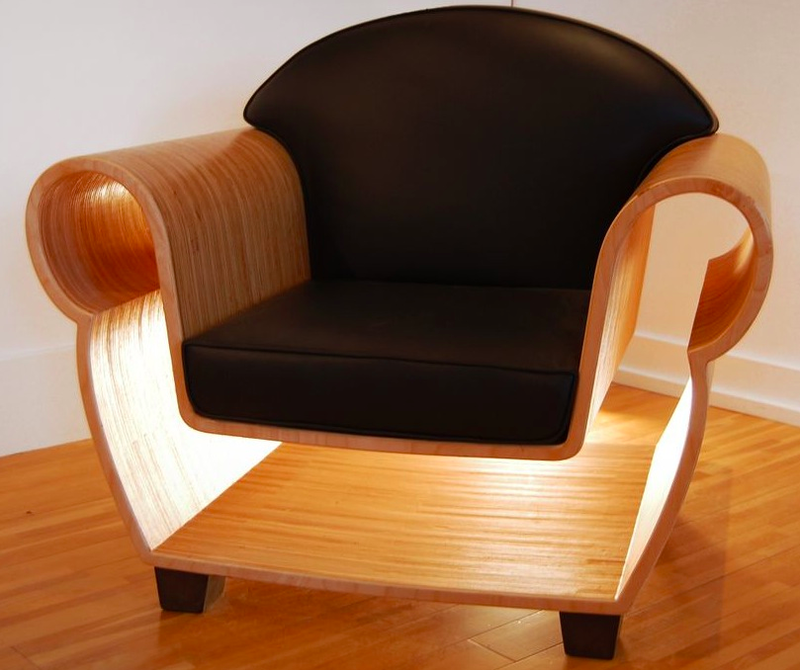 Faced with cheap plywood and chip wood that can be packed flat to ship inexpensively before assembly, furniture made of solid wood has become rarer and more expensive. 4 AXYZ founder and CEO Samir Shah has an idea. Instead of working with layers of cheap wood, he wants to work with layers of nice wood. And he’ll do it with 3D printing. Shah said the system could be used to build a chair with an especially ornate back or to engrave wood to match its upholstery. “The more complicated it is, the more expensive it is. It wastes more material and more effort. Our machine would reduce the number components substantially. The more complicated it is, the cheaper it gets with our process,” Shah said. 4 AXYZ won’t disclose how the technology works. Shah said the big secret is how the machine cuts the wood and secures layers together. The company is currently looking for investors. Once it finds funding, Shah said the first machine could be operational in six to eight months. “When people see it they say, ‘Why didn’t we think of this?’ We discovered that we had something nobody else is doing out there,” Shah said. I quite am impressed by the design & looks. Really will be looking forward to know more of it. Wow It’s truly amazing and I have never seen any 3D picture about different chairs and cupboard. I can’t wait any more to download this picture. The Egyptians did it 4,000 years ago. This is living in the future. Will this really happen in 1 or 2 years?